In this article, we’ll look at the real-life, everyday methods of time travel in our universe, as well as some of the more far-fetched methods of dancing through the fourth dimension. But there are some convincing stories of people who may have actually traveled through time. So strap in, because this list is going to take you through some of the most credible time travel stories. In 1901, two professors from St. Hugh’s College in Oxford, England, went to visit the Palace of Versailles. Versailles was, of course, the French royal home until the monarchy was abolished in 1792. Marie Antoinette, one of the last royals to live there, was executed in 1793. So on that day in 1901, when professors Anne Moberly and Eleanor Jourdain were walking the grounds of the palace, it’s pretty safe to say they did not expect to see Marie Antoinette in the flesh just chillin’ on a stool outside the Petit Trianon – a private retreat built for Antoinette by her hubby Louis XVI. And yet, there she was, sitting and sketching and completely oblivious to the fact that two women were gaping at her and all the other people in 1780s period attire who had appeared just as suddenly as Antoinette. Antoinette and everyone else disappeared when a tour guide approached Moberly and Jourdain. Together, they wrote a book, An Adventure, about their experience, and the story gained notoriety because of how grounded it seemed. These were two highly educated and well-respected women; they wouldn’t just make up a story like that. So what was it, then? Did they actually travel through time? It’s one of the most thoroughly reported, compelling, and famous time travel stories that can’t be explained. Air Marshall Sir Robert Victor Goddard was sent to inspect an abandoned airfield in Edinburgh in 1935. It was dilapidated, of which he made note. He got back in his plane and took off. Heavy rain and low visibility prevented him from going too far, so he turned around and headed back to the airfield to wait out the storm. As he approached the landing strip, though, something very strange happened. The clouds cleared, the sun shone brightly, and he saw that the previously abandoned land was now bustling with mechanics in blue jumpsuits. There were four yellow planes on the tarmac, and one of them was a kind he had never seen before. Keep in mind, this guy was a military pilot. He was pretty familiar with all the different plane models available at the time. Goddard was totally confused. Had he imagined it? Was he hallucinating? Was it a dream? It couldn’t be real, certainly. But four years later, he was sent back to the airfield. Far from being abandoned, it was now in full use, complete with blue-jumpsuited mechanics and yellow planes. And sitting on the runway was the plane he couldn’t identify in 1934: a Miles Magister. The Magister was first manufactured in 1937, three years after Goddard first saw it. Goddard’s story is convincing because he wasn’t even trying to travel through time – something unexplainable just happened to him. Journalist J. Bernard Hutton and photographer Joachim Brandt were sent by a German newspaper to do a story on the Hamburg shipyard in 1932. It was an uneventful visit until the bombs began raining down. Hutton and Brandt realized they were caught in the middle of an air raid and high-tailed it out of there, but not before snapping some photographs. When they got back to the center of Hamburg, no one believed their story. They developed the photos they took, intending to prove to everyone that they weren’t crazy. In fact, they proved the opposite: the photos showed no signs of an air raid. In the 12th Century, a young boy and girl were found alone in Woolpit, England. They didn’t speak English (or any other identifiable language, for that matter) and their skin was green. Yes, green. They were taken in by a local villager, and though the boy died soon after, the girl survived and eventually learned to speak English. Finally, she was able to tell someone where she came from. She said she had come from a dark, underground place called St. Martin’s Land and that she and her brother were taking care of their father’s sheep one day when they found a cave. They went into the cave, and after walking for what felt like a very long time, they emerged in Woolpit. Maybe it’s just a folk tale. Or maybe they came from the future. After all, their story does sound suspiciously like a time slip. Unfortunately for them, they were never able to get back to where – or when – they came from. In 1968, Charlotte Warburton entered a cafe she had never seen before. Nothing seemed amiss, but when she tried to go back a few days later, it had vanished. Charlotte later learned that there was, in fact, a cafe in that spot – many years ago. It had been replaced by a supermarket long before Charlotte claims to have walked in and visited it. In 1996, a man and his wife were shopping in London. His wife went into a bookshop while he took off for a CD store down the street. As he walked away from the bookstore, he noticed that everything was suddenly quiet. Then, a van that looked like it was from the 1950s honked and swerved around him. Somehow, he was standing in the middle of the street, and stranger than that, everyone around him was dressed in ’50s-style clothing. Confused, he tried to go back to the bookstore, but it wasn’t there. In its place was a women’s clothing shop named Cripps. So he went into the clothing shop, but as soon as he did, it was a bookstore again. He was back in 1996, but couldn’t figure out what happened to him – until he learned that Cripps hadn’t existed since the 1950s. In 1954, a man trying to get through customs at Haneda Airport in Tokyo, Japan, had a bit of trouble with the customs agents. It wasn’t because he “forgot” to declare something on his customs form. It was because he claimed to be from a country that didn’t exist – and he had a passport and stamps to prove it. His passport was from a country named Taured, which he claimed was in between Spain and France. When customs officials pulled out a map and asked him if he meant Andorra, he became angry. He said that yes, the location was right, but Taured had existed for at least 1,000 years. He had never heard of Andorra. He was given a hotel room for the night while the police tried to figure out what was going on. Even though there were armed guards posted outside his room, the man had vanished by the next morning. His passport, which had been stored in the security office at the airport, was also gone. Officials never figured out the mystery of the man from Taured. In 1850, a man named Jophar Vorin was found in Frankfort-on-the-Oder, Germany, and questioned. He spoke very broken German, which made his claims even more difficult to understand. He said he was from Laxaria, and spoke the languages of Laxarian and Abramian. He said he was in search of his long-lost brother, but he was shipwrecked on the way to his destination. Vorin didn’t recognize any of the maps or globes that were presented to him. He claimed that the world as he knew it had five sections: Sakria, Aflar, Aslar, Auslar, and Euplar. In the Year-book of Facts in Science and Art, John Timbs reports Vorin was taken to Berlin to be questioned and studied. There’s no doubt that Vorin existed. The question is, was he crazy? Or was he from a very distant future? In 1979, Geoff and Pauline Simpson and Len and Cynthia Gisby were traveling through France. When it became late, they decided to find a hotel for the night. They found a hotel not too far down the road they were traveling on. It was an odd place; the doors to the rooms only had heavy metal latches, no locks. And the windows only had thick wood shutters, no glass. In the morning, they had breakfast at the hotel and encountered two gendarmes (armed French policemen) that were wearing old-looking uniforms, complete with capes. The whole experience at the hotel seemed strange, not least because their stay only cost 19 francs. Other hotels in the area cost around 200 francs. Still, they happily went on their way, and on their return journey, tried to stop and stay at the hotel again. Except it had seemingly vanished into thin air. And the uniforms those gendarmes were wearing? They were from 1905. 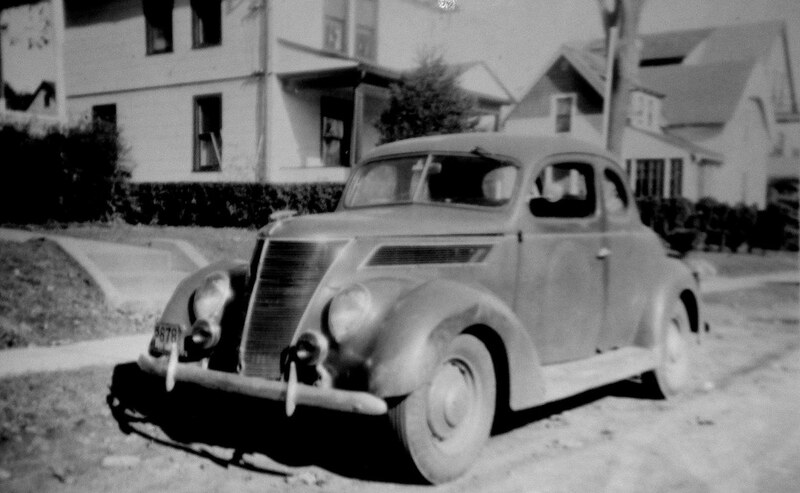 In 1935, Dr. EG Moon was leaving the residence of one of his patients in Kent, England when he realized his car was not where he had left it. Both the driveway and the road seemed a lot rougher than he remembered. Dr. Moon spotted a man walking by the house, and he realized that the man was wearing several capes and carrying a long-barreled gun. He looked, essentially, like he was from a different time. Dr. Moon turned to go back to the house, but as he did, he saw that the driveway was paved again, and his car was once again parked in it. He turned back towards the road to look for the man, but he had vanished. In November 2000, the Time Travel Institute forums saw a spike in unusual activity. Nestled among the usual conspiracy theories and far-fetched UFO sightings were a string of posts from a man who called himself John Titor. He said he was a soldier based in Tampa, FL, from the year 2036. The government, he claimed, sent him back in time to 1975 to retrieve an IBM computer, which they needed in order to debug some computer programs. He hopped off his time machine in 2000 for personal reasons, and, since he was already there, he figured, why not warn everyone about how sh*tty the future was going to get? He claimed that civil unrest would begin in the United States in 2004 and, by 2008, there would be a full-blown civil war. By 2015, he said, the US would be split into five different regions and World War III would have come and gone. Of course, none of these things have happened, so you’re probably wondering: why did people believe this wingnut? It’s because his posts about time travel were so detailed, the description of its mechanics and his machine so thorough, that it seemed almost impossible that he wasn’t telling the truth. And besides, if it was all a hoax, surely the person behind it would have dreamed up a better hometown for himself than freakin’ Tampa, right? In 1969, two businessmen were having lunch in a Southwestern Louisiana town. Afterward, they got in their car headed back to work along US Route 167, a highway that spans much of the state. In the distance, they saw an old car. As they got closer to it, they realized it was moving very slowly and they could see the year “1940” printed on its license plate. The two men pulled up alongside the car and peered in to see if everything was okay; they were greeted by the sight of a woman, done up in full 1940s regalia, and a small child, both of who looked very confused and even, they thought, frightened. They gestured to the woman, indicating that she should pull over and they would help her. As she began to pull onto the side of the road, the businessmen stopped a few yards in front of her. When they turned around to make sure she had parked safely, the whole car had vanished into thin air. Until 1981, there was an Air Force base in Montauk, NY, at the eastern tip of Long Island. And, Preston Nichols claims, it was the site of some top-secret government time travel experiments. Nichols writes in The Montauk Project: Experiments in Time that, in the 1980s, he recovered repressed memories of working on the project. His claims are outlandish – they experimented on children. One child had psychic abilities. They even created a time portal to 1943. But not just any moment in 1943: the portal opened up onto the USS Eldridge, the subject of another famous alleged government project, the Philadelphia Experiment. Proponents of the Philadelphia Experiment conspiracy theory purport that, at the height of World War II, the US conducted a series of tests to try and cloak its warships. They wanted their ships to be invisible, undetectable. And, on October 28, 1943, they succeeded, but there was a side effect: the Eldridge traveled back ten minutes in time and the experience drove the crew mad. They were brainwashed afterward, their memories wiped of the whole incident. A film about these alleged events, The Philadelphia Experiment, was released in 1984. And wouldn’t you know it, that film triggered some repressed memories in one Al Bielek. Bielek began discussing these memories with the press, which brought him to the attention of Nichols. The two got in touch and, together, told a story that linked the Montauk Project and the Philadelphia Experiment. Bielek had traveled through the time portal from the USS Eldridge to Montauk. The scientists at Montauk pushed him back through to the Eldridge. It’s easy to dismiss Nichols’s and Bielek’s claims as pure science fiction, but the tale is so compelling, so detailed and unbelievable, don’t you almost want it to be true?